Friday's snippets post included a sneak peek of the sweater I'm knitting. Today I'd like to share more about it! I'm currently knitting the Twigs and Willows cardigan, by Alana Dakos, from her beautiful new book, Botanical Knits. 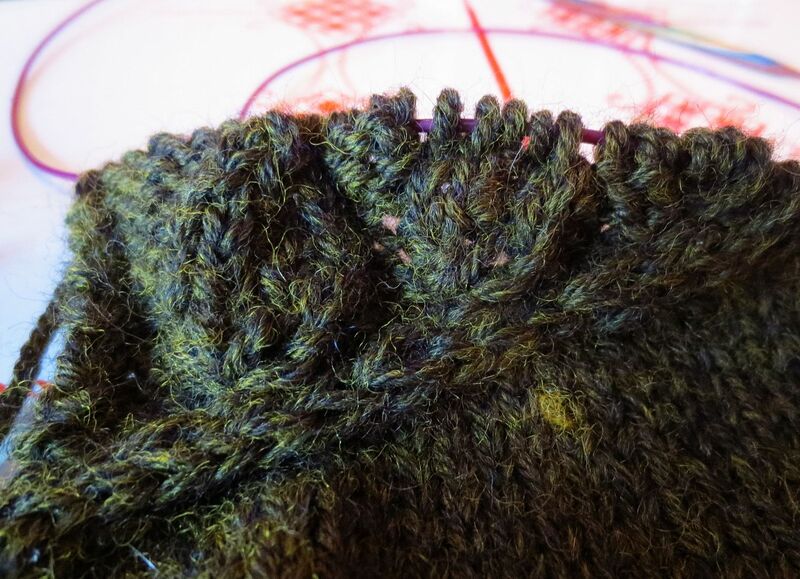 I'm using Ella Rae Classic Heathers yarn in color 130-- it's a deep olive green, with brighter green heathered into it. 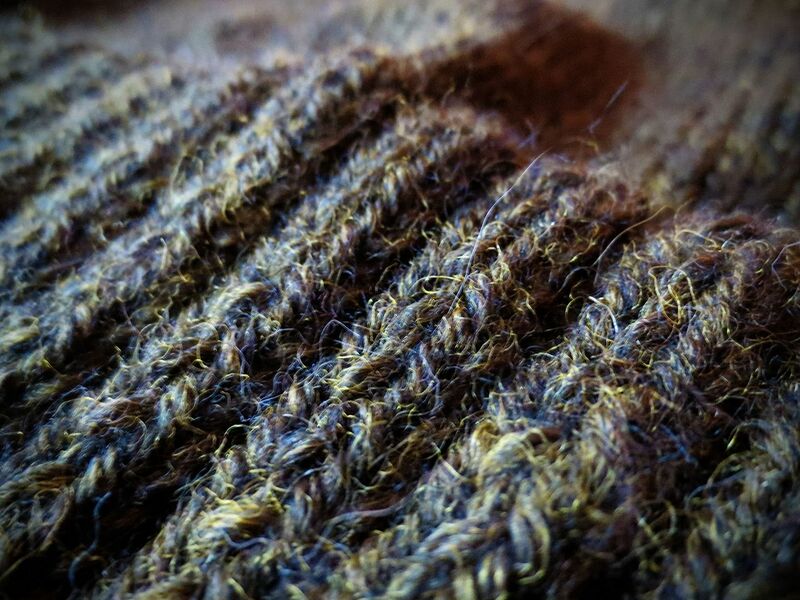 It's lovely to work with-- it feels satisfyingly woolly to knit, but when I washed and blocked my gauge swatch, I was surprised at how soft it became. Alana's sample cardigan is knit in a woolen spun (basically, lighter and fluffier) yarn, Brooklyn Tweed Shelter, and I'm using a worsted (more densely) spun yarn, so I was a little concerned that the overall shape of the leaf motifs would be overshadowed by the individual stitch definition. That worry disappeared as soon as my swatch was dry. The Ella Rae Classic bloomed just the right amount when it was washed. I tried a new-to-me technique for the ribbing! I used the eastern purl variation on ribbing, as described in Ysolda Teague's book, Little Red in the City. Just as a side note, while I haven't knit any of the sweaters from Little Red in the City yet, I refer to the book constantly for technique notes. 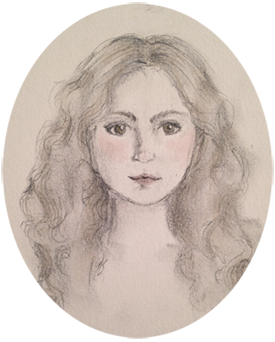 The illustrations are extremely clear, and Ysolda goes into detail about why one would choose a particular stitch over another, as well as a writing a fantastic section about fitting your knitwear for your specific measurements. It's incredibly helpful. Anyway, the eastern purl rib is designed to prevent the final knit stitch of each rib from becoming loose and uneven. Essentially, you throw the yarn clockwise around the working needle instead of counter-clockwise, then knit those stitches through the back loop on the following row. It takes a few rows to get used to, but I think it's worth the effort. I'm so pleased with the results! I have the back and both front pieces of my Twigs and Willows cardigan finished, and the first sleeve about halfway done. I'm hoping to finish the sweater in the next week or so. Yay!